Long winter. The weather is starting to improve in Munich where the tandem is currently located. The plan is to cycle it back to the UK in the summer, possibly via Dresden. We will see how those plans proceed. 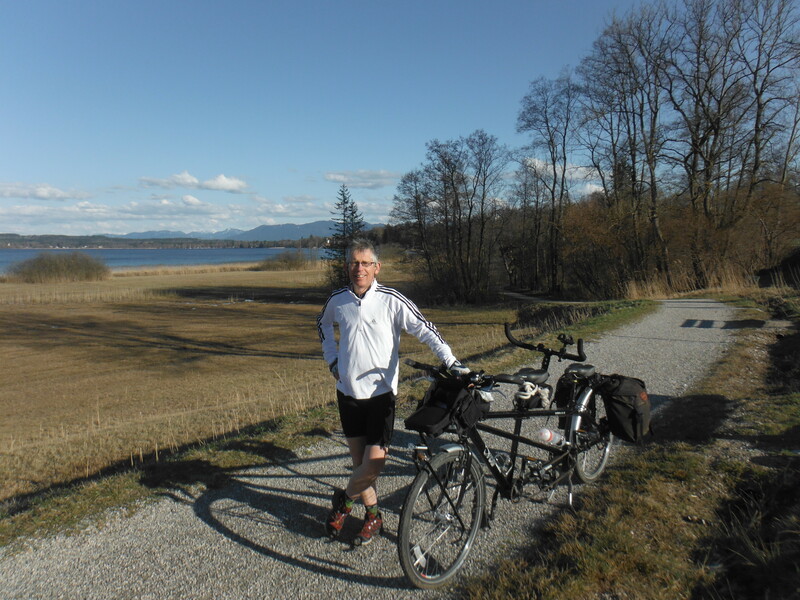 In the meantime, there are options for cycling here in Bavaria and yesterday we took the opportunity to cycle to Starnberger See and then two-thirds of the way around the lake from Starnberg to Tutzing via Seeshaupt. Sections of the path divert from the lake, but the western stretch between Starnberg and Seeshaupt is remarkably un-developed. The road hugs the shoreline. And by late afternoon the route was very quiet. I lived for more than one year in this area. Great place!